I don’t remember when I first discovered Once Upon a Time, but I actually think it was my mom who turned me onto it, all I know is that since I started watching OUaT I’ve loved it ever since. And honestly my appreciation for the show just grows with each season. Granted there are some weak spots here and there, but what show doesn’t have that? In its totality it continues to be brilliant in my opinion and I love how I get to see some of my childhood favorite characters play out on the screen in situations I never would have imagined or considered possible. Building a story around the world’s beloved fairy tale characters may sound like a story told once too many times with all the fairy tale retelling blockbusters blossoming around the world’s cinemas. But what I believe OUaT manages to do with episode after episode is not just to retell the same fairy tale on its own with one small twist, but instead it twists and turns every fairy tale we know into to something completely new while swirling it into one ultimate fairy tale. The fairy tale characters we know are turned almost completely upside down and the villains may not be the villains we take them for, or the heroes might not be the traditional hero we know and love. This is partly what propels this story; because the character’s have so many different sides and point of views the overall story can spin in so many directions with so much potential for numerous of stories. The season story-lines have taken on traditional stories such as good versus evil, but it has also taken us to Wonderland and Never-Neverland and back to Storybrook where things continue to be complicated. With characters crossing over from Arandelle and other fairy tale realms I anticipate countless of new stories to be told in the future. It is difficult for me to pinpoint exactly what it is I adore about this show, basically what it all comes down to – I would say – is my love for fairy tales and fairy tale retellings. 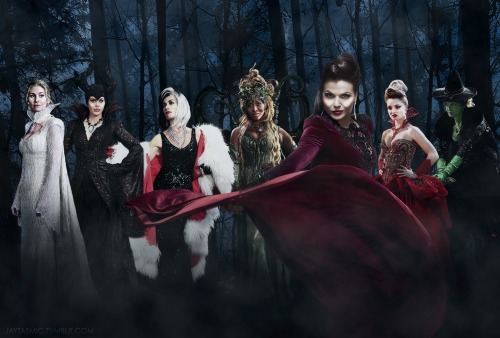 If you love any of those genres I believe OUaT will be a show for you. However, I would also say that you shouldn’t have too critical an eye when you approach it. I have heard many people say the show has lost its touch since it first started, but I do not agree wholeheartedly to this. It may be true that it is not entirely as it was in the beginning, but no show stays the same and change is essential for keeping the show up to date as well. So despite much critic I still adore this show and will continue to watch. Once Upon a Time er jo også bare en absolut fantastisk serie! Den er så hammer gennemført og den er en konstant emotionel rutsjebanetur! Jo jo, den så jeg sidste år i en ruf næsten, men den kommer ikke i nærheden af OUaT, og jeg ved stadig ikke helt hvordan jeg har det med at Will nu er med i Storybrook, og skal passe ind i det cast, det er stadig lidt underligt. Concerning OUAT i really enjoy this show ! I've always loved fairytales so it was an amazing idea and i think they're doing it not so bad but in a clever way. I'm just afraid of one thing : that it goes for too long and that it ruined everything as i saw it for How I met your mother. I think a great show to be kept perfect must not last too long because it repeats itself and then it is just destroyed by a quick endind. But until now, i am satisfed so i hope it will last.